At the heart of mindfulness is the call to become more present in each moment. In our mindfulness workshop, we’ll utilize techniques learned through Penn Medicine’s Penn Program for Mindfulness, as well as teachings from Buddhist nun, Pema Chödrön. We’ll become more aware of breath, body, and patterns of thought through a variety of meditation exercises. Our goal is to fully experience each moment as it happens, and find peace and relaxation right in the middle of the most chaotic moment – so that we may better navigate the joys and challenges of being human on a daily basis. Bring your own coffee or tea and cushion or blanket to sit on if needed. Chairs will also be provided. All ages welcome, and no experience is needed! Leave feeling more awake and alive, more able to manage stress and whatever arises. 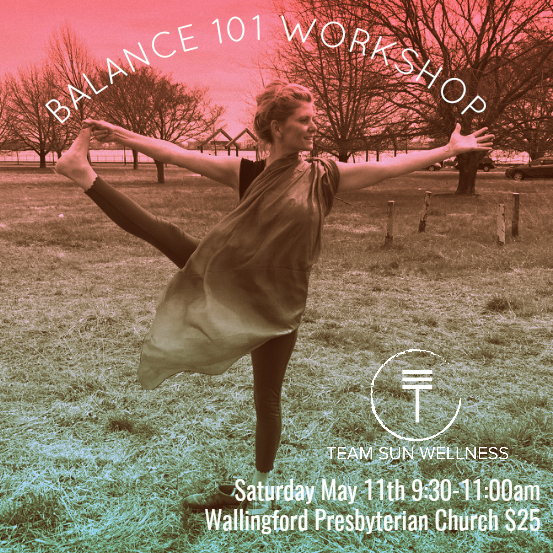 About the Instructor: Ann MacMullan Jeans is a certified yoga instructor (EYT-200) and teaches in the Philadelphia area with her company Team Sun Wellness. Ann believes in the healing power of yoga and meditation for everyone, no matter what age, level of fitness, or life circumstance. Ann has completed the foundational 8-week program at Penn Medicine’s Penn Program for Mindfulness, and regularly practices yoga and meditation. In this morning’s meditation, I weighed the concept of balance. At first it was a lot of thoughts, then it was more about the feeling of it, and then it was both. In those thirty minutes or so, I must have had a hundred thoughts come and go before I really started to pay close attention to one thing: my breath. Maybe after about ten minutes, some equilibrium was achieved between my in and out breaths. Just breathing in, breathing out, for equal lengths of time. Feeling the inside of the body, feeling the outside of the body. Noticing how after a while, there did not seem to be much difference between the two, and a certain state of wholeness was felt. I was in my mind and my body at the same time, without noticing one or the other too much. This state of balance between mind and body, of just being, can transform everyday well-being. As human beings with overly active minds, we love to categorize and assign value to things. We make instant internal pronouncements about everything! Personally, I notice myself closing up or getting ready for a fight when something is not to my liking, or someone is doing something that offends me. I always want a smooth ride, for my life to be happy all the time – without acknowledging pain, by resisting suffering – even though sorrow is a regular part of being alive. Just like everyone else, I place a greater value on joyful happy experiences. When I feel pain, I don’t want it! And that’s all perfectly natural. How we react during uncomfortable moments is key: maybe we get angry and lash out at anyone who enters into our crosshairs, try to numb our pain or loneliness with excessive exercise or alcohol, or just run away and leave our jobs or marriages. Maybe we keep telling ourselves the same story about how unfair it is that we have to experience this type of suffering, and that the world really owes us something for having to go through this. And we continue to marinate in more suffering, except now we have created it for ourselves. By reacting, resisting, and complaining, we deny ourselves the full experience of being human and quite possibly the transformation that our pain might bring. Being “mindful” or “in the present moment” helps us find balance throughout our day, experience more joy in little things, and facilitate a wiser navigation and acceptance of our suffering as part of our human existence. I’m trying a new approach for myself. When I feel myself wanting to pull away or get angry, or something just really hurts, I try to give it some space by breathing. Maybe little by little, I can begin to open to the idea of accepting it so that I can move through whatever it is more gracefully. And in turn, when things go right, and I feel on top of the world, I’m trying not to get swept away by my own ego. We’ll see how it goes. For me, it all comes back to the breath. By practicing balance between the in and out breaths, practicing this non-dualistic non-judgmental approach, I start to experience a larger sense of balance. I know there’s suffering, I know there’s joy, and I also know that in a way they are the same. They are things we experience as part of being alive. So I’m brought back to balance and being alive and just being. By just sitting and breathing, we become more aware of our own everyday well-being, which is shifting and changing with each breath. Would you like to practice this with me? Try the Balancing Breath Exercise as a step towards transforming your own everyday well-being! Unwind with this gentle but challenging ancient form of exercise. Learn basic yoga asanas or postures to improve strength, balance, and flexibility while focusing on the thread of the breath that “yokes” the mind and body together. Bring a yoga mat. Props like blocks and straps are sometimes used to help safely attain or deepen a pose. (Blocks and straps are provided.) All levels welcome! Class size limited to 25.